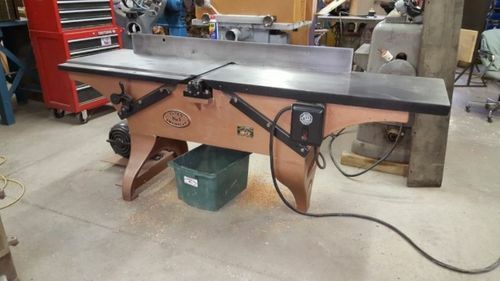 Why have planer without jointer? Reading up on planers and I was surprised to see that one side of the board must be flat in order for the other side to be planed flat. Otherwise, it says you’ll just get a board whose sides are parallel, but necessarily flat. From what I’ve read it seems that you need a jointer to make one side flat first. My question then is, why would you have a planer without also having a jointer? Also, are there tools that perform both functions? There are machines that do both and they seem to be becoming more popular. You can also joint a board on a table saw though. There are ways to flatten a board without a jointer. Sleds can be made that allow the planer to do that task. There’s several examples on LJ if you do a search. I do all of the tasks of a jointer with hand planes. It only takes a few minutes at the most to get a board flat enough to run through the planer. Once one side is flat, then the board is flipped and the other is made parallel. For me, the work done by a jointer doesn’t compensate for the space it takes up. For others, they are willing to make that tradeoff. You can make do with just a planer. That will require you to make a jig (just a long wide board) to level a twisted workpiece, usually done with wedges hot glued to the jig and the workplace to shim up the gaps to make the workpiece stabile. So with your workpiece level you can put the whole thing through the plane, planing the top side flat and then remove it from the jig and flip it to do the other side. This works for boards with cupping and twist, but not for lengthwise cupping. That said, the latter is not a frequent problem. I have done this myself and it works real well. You can also find much more advance planing jigs that level a board without wedges. You can find them on Youtube. I have a jointer, but like the jig option because my planer is wider (12”) while my jointer is only 8” wide and also because I’m old as the hills and it’s easier with the jig! Sleds can be made that allow the planer to do that task. There s several examples on LJ if you do a search. I do all of the tasks of a jointer with hand planes. It only takes a few minutes at the most to get a board flat enough to run through the planer. Once one side is flat, then the board is flipped and the other is made parallel. For me, the work done by a jointer doesn t compensate for the space it takes up. For others, they are willing to make that tradeoff. Same here, I’ve become more of a hybrid woodworker and find this combo mentioned above to be the most efficient for things like this. yeah combo machines are great especially if you have limited space.many here dont feel jointers are needed but i would not be without mine,the thought of hand planing boards just isn’t my idea of fun,or time well spent.a sled is a good option and i made one for wide boards-8” +,look at my projects and you can see how i did mine.there are many ways to get a board flat and none are wrong,you just need to decide what makes sense to you. You can work with just a planer… it simply requires your stock to be flat when you start the process. I personally have no interest in planer sleds. 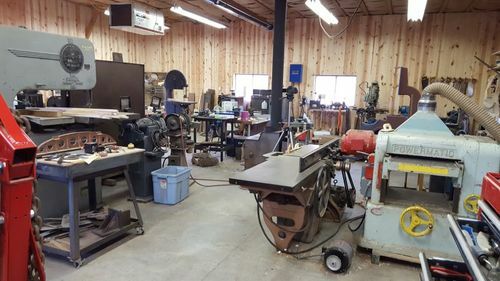 The “trifecta” of the power tool shop is the TS-jointer-planer combination (and that’s the order in which I would aquire them). 3. get opposite face flat and parallel and get your thickness dim on the planer. 4. rip the board on the TS with the joined edge against the fence to get the opposite edge straight and parallel and to get your width dim. 5. cross cut the boad with either a miter gauge or sled to get the ends square and to get your length dim. Having all three machines properly dialed in allows you to crank out this process on a pile of lumber in very short time, and the results should be very good. Lumber from the specialty wood store is almost, but not quite, ready to use. The only way to ensure that your boards are identical in thickness is to run them through a planer. That also takes out surface blemishes such as planer marks from the factory, scratches, etc… The net result is that you save a lot of time in assembly if you are working with smooth boards with identical thickness. At the lumber store I use, one edge of the board has been jointed and the other is rough. The jointed edge goes against your table saw fence, and a quick run-through joints the other edge. So now I have pieces that are ready for cutting and assembly. Edge-jointing on a tablesaw is not as accurate or as fine as using a jointer, but it sure is faster. And for my purposes accurate enough, so I don’t need to have a jointer (though I use to). Good blade and finally-tuned saw are critical. Finally, there are machines that do both planing and jointing, aka combination machines. Lots of them on the market. I’ve never used them. And I totally agree with pottz that there are many ways of getting a board flat and none are wrong. Another function of a planer, one that I use quite a bit, is to make boards a specific thickness. It is not uncommon to buy 2S or 4S lumber and then to plane the material to very specific and uniform thicknesses. You don’t need a jointer to do that. Ditto on what JayT said using a hand plane. I often do that method, even though I have a jointer, on boards I want to keep wider than the 6” capacity of my jointer. Most of the lumber I buy only needs a little planing to get to a thickness. I have a 6” jointer as well so when I buy rough wood I use the planer. Since I rarely use full length boards slight discrepancies get cut out in the process of rough cutting the pieces for the project. The quality of your woodworking goes up when you start with flat lumber. A jointer is one of the best tools you can have. I started out without a jointer and used a planer and sled. After getting a jointer, milling lumber was a much better experience. That and the nice straight edges from edge jointing was great. You can make do without one though and just use a sled or handplanes. Buying lumber S4S is another option but can be expensive. I agree with Matt that the TS, planer, and jointer are your three best stationary machines. damn it jeff stop showing off,the drool is gonna short out my key board-LOL. ... You can also joint a board on a table saw though. You can defintely “edge joint” with a table saw to make the edge square IF the face flat, but can’t flatten the face with a TS (except for really narrow boards). Flattening a face with the jointer is usually step one for me. I’ve done wider boards with hand planes or a planer sled, but I much prefer the jointer when the boards fit.